Your school floors have to put up with a lot of wear from the enthusiastic yet careless feet of youth. 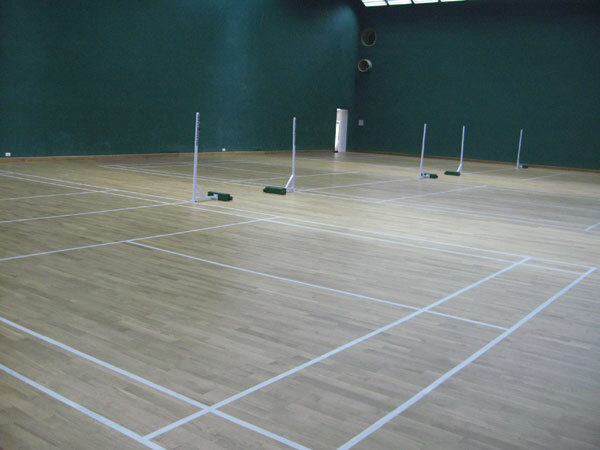 Although most popular in school and college sports halls and gyms, the traditional wooden floor enhances assembly halls, classrooms, music rooms and entrance halls. It ranges from pine flooring planks; hardwood boards of oak or beech; blocks of parquet, herringbone or finger mosaic. Maintenance is an essential part of ensuring that your floor gives the service required over a long period. A lightly worn floor can be freshened up with a light sanding and application of a fresh layer of sealant. Modern lacquers are a far cry from the old-fashioned floor varnish with its ‘plastic’ look. They are exceptionally hard wearing and, as many are now water-based, both quick drying and completely safe in all environments. When your floor is more seriously marked or damaged, a complete restoration is needed. This entails stripping away the old paint, dirt and sealant. The smooth, level surface is then ready for a new protective layer. When done by experts, this is a sound investment, with your floor offering splendid service for years. A shiny fresh service not only looks good on the eye: it adds value to the property – and gives a sense of pride to staff and students in their school environment. 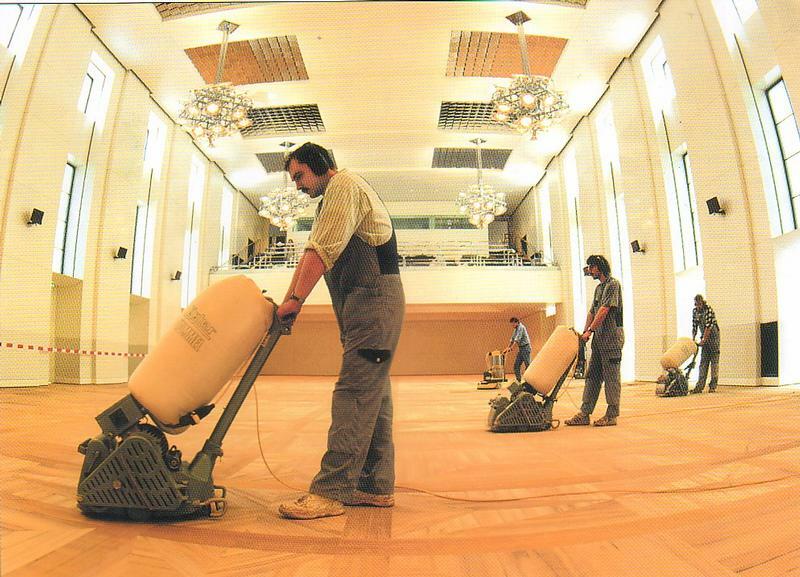 Choose Sanding Wood Floors - a family company who have restored hundreds of floors for over twenty years. School floors form a major part of our regular services. 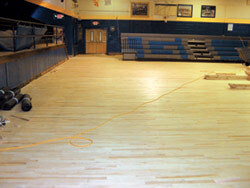 You will benefit both from our special school floor sanding rates and our tried and tested commercial grade products. These are designed for high traffic areas – and only available to the trade. We will assess your floor, elicit your requirements - and come up with a restoration package to meet your needs and budget. Every stage in the process comes at a set price. We realise how tight school budgets are nowadays. You will receive a firm quotation with no hidden extras. We refuse to cut corners or do a pared down job. You will want a floor to last. Working in the school vacation allows us to avoid disruption to the timetable - and complete a thorough jo b with no time pressures. We realign or repair these. Should they need replacing, we will find the closest possible match. Any dust and mess will be minimal. Our modern sanding machines collect virtually all dust. We also restrict its spread by sealing doors and windows - and by frequent vacuuming. An option for a change of colour to match the décor - or provide a completely fresh look to the room. Modern finishes are completely safe. Choose from traditional solvent-based products such as Junkers Professional 625 and Rustin’s Sealer (for high-gloss requirements). Our water-based products include Junkers HP Commercial + Friction and Bona Traffic. 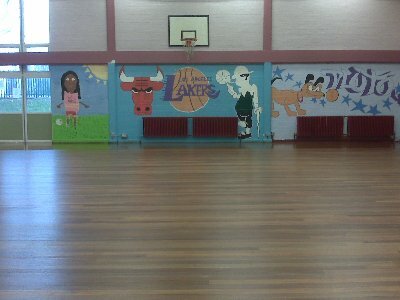 For the hard wear required for sports hall floor refinishing, we always recommend Bona and Junckers supportive systems. Both finishes offer a comprehensive range of highly durable lacquers, cleaners and sport lines marking paints. All our work comes fully guaranteed.